Little House is a drug and alcohol treatment center for women that has been operating successfully in Bellflower since 1952. Soroptimist International of Bellflower has supported Little House over the years, not just financially, but also by serving on its board of directors and hosting the women of Little House at our annual holiday party, where residents join Soroptimist International of Bellflower for a traditional holiday banquet and enjoy a performance by the Bellflower Elementary School Ensemble. Residents of Little House are presented with a Holiday gift bag filled with fun and necessary items for them to use. For many of them, this is the only Holiday celebration they will have! Caring Connections has been serving children and families of the Bellflower Unified School District since 1992. 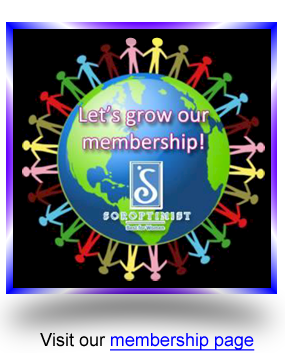 The members of Soroptimist International of Bellflower share the commitment of a healthy and successful future for children and families of the Bellflower Unified School District and help to support this organization through financial donations. Su Casa is a non-profit agency that works to end domestic violence in our local communities. Soroptimist International of Bellflower has supported Su Casa almost since its founding in 1979 both financially and by having the women and children of Su Casa join with us at our annual holiday party, and enjoy a holiday banquet and see a performance by the Bellflower Elementary School Ensemble. Then they are presented with a holiday gift bag filled with fun and necessary items for them to use. For many of them, this is the only holiday celebration they will have! 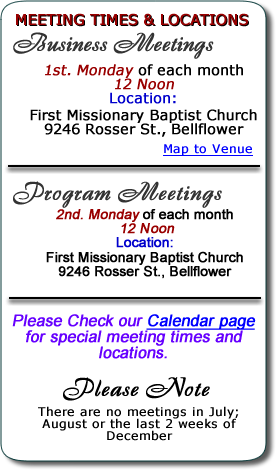 Bellflower’s mission is “To Protect and enrich the quality of life to make Bellflower an excellent place to live, work and play.” Members of Soroptimist International of Bellflower are proud to be a part of making a positive difference within this community along with the city. We want to thank our city officials for all that they do within our community and for their continued support of our club. Bellflower Unified School District not only provides quality education with traditional programs, but also has a Head Start Program, a Caring Connections Program and a tutoring program. Bellflower Unified school district is proud to have Distinguished and Blue Ribbon schools. Soroptimist International of Bellflower works with and through the School District to provide a variety of scholarship opportunities for young women going to college. The Volunteer Center has been in operation since 1995 and gives opportunities for youth to serve in their communities wherever volunteers are needed. The Center also coordinates donations and applications for food and other necessities during the holidays. Soroptimist International of Bellflower supports the Volunteer Center by helping to contribute both financially and also to the holiday food program. Soroptimist Village is an attractive low-rent senior citizen housing complex in Norwalk. The Village is supported and managed by 10 Soroptimists clubs, including Soroptimist International of Bellflower and is partially funded by the City of Norwalk Housing Authority. Club representatives serve on the Board of Directors. Completed in 1963, the Village has touched countless lives in the past 50+ years. Housing is provided for 60 low-income seniors, including a senior couple who act as resident managers. Residents pay 1/3 of their income on rent. 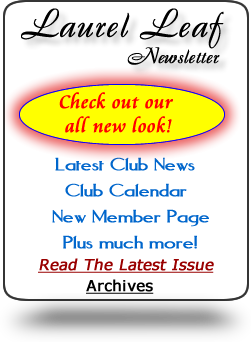 Supporting Soroptimist clubs host monthly birthday celebrations and holiday parties for the “Villagers”. Soroptimist Village provides safe, attractive and neighborly living for its residents who otherwise might be living on the streets. The Low Cost Community Counseling Center is a mental health agency that has been in the community and surrounding areas since 1971. Fees for services are based on a sliding scale (according to income), and provide counseling to individuals, couples, men, women, teens and children. Services include some or all of the following classes: domestic violence, anger management, bereavement, women’s support group, parenting, and substance abuse. The “Helping Dreams Come True Award” was created by Soroptimist International of Bellflower to help women between the ages of 20-40 achieve their dreams by giving them financial resources they need to improve their education, skills and employment prospects. Why the ages of 20-40? Because there are many instances when girls graduate from high school and think they don’t need or want additional education or training. As the years pass by, they come to find out that life is not what they imagined and they want/need to further themselves educationally or vocationally in order to get ahead. But, now they are out on their own and no longer eligible for college scholarships they might have received at graduation. Furthering themselves is not an option now, it has become a dream. The Bellflower Soroptimist club established this scholarship to give girls a helping hand to reach their dreams. The scholarship is $400 per year for 4 years - for a total of $1,600. The student must meet the required eligibility and performance requirements in order to be selected and receive the award. The money in this fund is used to award the Soroptimist Live Your Dream Awards at the Region level. Clubs make voluntary donations to this fund so that the Region can give monetary awards at each Spring Conference. The Soroptimist Live Your Dream Awards assists women who provide the primary source of financial support for their families by giving them the resources they need to improve their education, skills and employment prospects. Each year, more than $1.6 million in education grants are awarded to more than 1,200 women, many of whom have overcome enormous obstacles including poverty, domestic violence and/or drug and alcohol abuse. Live Your Dream Awards recipients may use the cash award to offset any costs associated with their efforts to attain higher education, such as books, childcare, tuition and transportation. In addition to providing the primary financial support for their families, eligible applicants must be enrolled in, or have been accepted to, a vocational/skills training program or an undergraduate degree program and must demonstrate financial need. The Live Your Dream Awards involves three levels of cash awards. The program begins at the local Soroptimist club-level, where award amounts vary. Local-level award recipients become eligible for region-level awards of either $3,000 or $5,000. Region-level award recipients then become eligible to receive one of three international-level awards of $10,000. A project that raises awareness about the sexual trafficking of women and girls, and seeks to encourage citizens, law makers and service providers to focus on this global problem. An awareness campaign that targets domestic violence as a workplace concern. Cash grants for innovative Soroptimist club projects. Providing funds for programs that assist women and girls after a man-made or natural disaster. Soroptimist International of Bellflower Support and donate time and/or financial aid to the following organizations. The December 10th President's Appeal 2015-2017 is 'Educate to Lead: Nepal', which seeks to Educate, Empower and Enable women & girls in Nepal to overcome adversity, and develop leadership skills that will in turn benefit entire communities. Calling on the collective power of Soroptimist International, the Appeal is launched with the announcement of the first three inspiring projects. The first project supported is The Australian Himalayan Foundation and its Teacher Training & Quality Education Programme. Project Two is a Soroptimist project proposed by SI Truckee Meadows, which works to remove the barriers to education for women and girls in Nepal. The Tharu Women's Project is the third project to be supported by the Appeal. Developed by SI Oita-Midori, Japan it aims to provide literacy opportunities to 200 women..
Three women per day die in Papua New Guinea due to complications of pregnancy or childbirth. Birthing in the Pacific aims to save lives by increasing access to skilled birth attendants and health care services in Papua New Guinea. Soroptimist International works with local partners to apply international best practice and evidence. Project SIerra helped disadvantaged women and children in Sierra Leone. By strengthening families at risk of breakdown, helping young children living on the streets return home and empowering vulnerable young mothers, Project SIerra has enabled more children to grow up in a caring family environment – giving them the opportunity to fulfil their potential. A Family And A Future celebrated reaching its £1million fundraising target to help disadvantaged women and children in Sierra Leone in October 2011. 129 young mothers have completed their education or vocational training. 200 families have been stabilized. 48 former street children reconciled with their families. The Limbs for Life project was a partnership between Soroptimist International and the International Committee of the Red Cross (ICRC) to provide prostheses for land mine victims in Afghanistan, Angola and Georgia. Land mine statistics are grim: every twenty minutes a victim falls somewhere in the world and half die on the spot; 800 people are killed every month, and 1200 mutilated, mainly women and children. Many of the victims in developing countries are already in poverty: an artificial limb could cost them the equivalent of a year's salary. As a result of this project Soroptimists supplied 24,500 prostheses to mine victims.